Ho Chi Minh City plans to build eight worker dormitory projects on the area of 18 hectare supplying 4,962 dwellings. 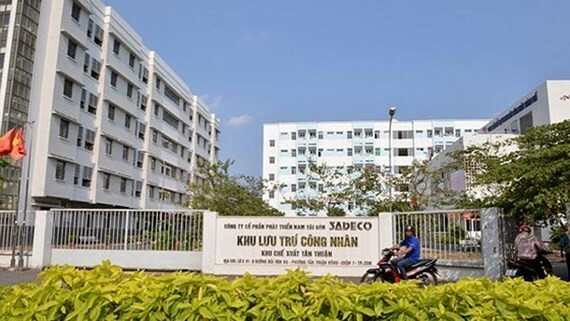 Two projects invested by Thien Phat Commercial Tourism Construction Company will be implemented this year including dorm in Linh Trung No.2 Industrial Park in Thu Duc District providing 1,500 accommodation and in Hiep Binh Phuoc Ward of Nhon Hoa Balance Company with 720 dwellings. Other six projects in districts of 2, 9, Binh Tan, Binh Chanh and Cu Chi will be launched in 2018 and scheduled to complete in 2020. 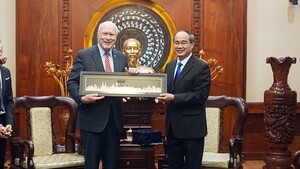 The above-mentioned projects has been approved by Deputy Chairman of People’s Committee Tran Vinh Tuyen. In order to encourage firms to take part in social housing projects for workers in the city, HCMC authorities announced to adjust regulations for managing worker dormitories and rental houses for laborers in accordance with the current one; additionally, it will amend policies on loans and provide preferential loans to attract investors. Furthermore, the municipal authorities also asked the Department of Construction to beef up construction speed of social housing projects for workers as well as put forward solutions for hiccups along the way. The Labor Union is required to forecast workers’ demand of accommodation and entertainment in three industrial parks to develop policies and organize sport and leisure activities for them. The Department of Construction said that the current accommodation with 39,400 dwellings just meet 15 percent of demand. Before, HCMC had adopted policies of preferential loans for investors of worker dormitory projects; yet, limited state budget plus complex paperwork have disheartened investors. No land for building worker dormitories in the industrial parks make the problem to be more difficult. From now to 2020, the city needs to build additional 240,000 dwellings to satisfy the increasing demand. In 2018, the city plans to build more 2,220 dwellings for workers with 32,000 square meter.